Are birds nesting in your eaves or under the porch? Are bird droppings causing an unsightly mess on the floor below? Total Pest Control Dublin has a range of solutions to prevent pest birds becoming a nuisance . Don't want to use poison to kill rats and mice? Can't find how rats and mice are entering your property? Total Pest Control Dublin specialize in finding the source of rodent entry using our state of the art equipment. Want to get rid of a wasps nest but not sure how? Do ants keep coming back even after treatment? Total Pest Control Dublin treat all flying and crawling insects problems, preparing a plan to suit each case. Total Pest Control Dublin can carry out wildlife management in a professional, humane manner. Frequent observation allows early detection of a potential problem and permits effective and economical control. 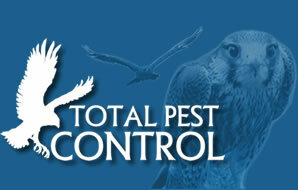 Total Pest Control are a Dun Laoghaire (Dublin) based company covering all areas in Leinster. We specialise in understanding your pest control needs and offer a fast response with discretion and efficiency. Total Pest Control works to achieve postitive, cost efficient results. Our Pest extermination and cleaning technicians are used to working in high security and clean room environments. They are well trained, very thorough are fully certified.